We’re pleased to launch our brand-new website, where you can learn more about the products and services we have to offer. ​Dr. Wendy Champey opened Champey Weight Loss & Laser Center in 2015. She is pleased to also introduce Dr. Kenneth Distefano, a board certified plastic surgeon who will be performing Botox and Juvederm injections as well as skin tag, mole and cyst removal. We offer a full range of skin care services including monthly skin cancer screenings,mole and lesion removal, cyst removal, mole checks, laser hair removal and laser tattoo removal of all color tattoos. We also offer Botox for chronic migraines. Please call us with any questions or to schedule your free consultation today. We are proud to offer our patients CoolSculpting®, a revolutionary non-surgical contouring treatment that freezes stubborn fat, which then is naturally eliminated from your body. No needles, no special diets, no supplements, no surgery. And most importantly, no downtime. 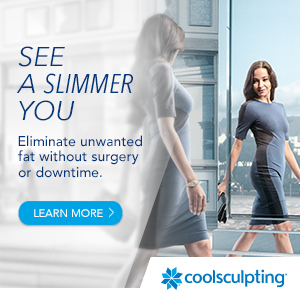 Unlike most other methods of fat reduction, CoolSculpting involves no needles, surgery, or downtime. Patients often spend procedure time reading, working on their laptops, or simply relaxing. It’s safe, FDA-cleared and effective. Results look natural and can be seen as early as 3 to 4 months following treatment, with the most dramatic results after 4 to 6 months​. Call today to schedule your free consultation with Dr. Champey and be on your way to a new you. We offer the Ideal Protein Difference . . . Maintaining a stable weight after dieting often requires changes to your lifestyle habits. This is why Ideal Protein strongly emphasizes education and understanding. You must learn to eat “smarter” or risk regaining your lost weight. Therefore, when you begin our program you will be assigned a personal weight loss coach. Your coach will assist you through each of the 4 phases of the Ideal Protein method. In phases 1 & 2 your coach will help you set your weight loss goals and support you on that journey. and proteins; and much more. Call today to book an appointment to meet with an Ideal Protein Weight Loss Coach and BEGIN YOUR Journey! A Medically Developed Weight Loss Method With a Beginning, a Middle and An End.